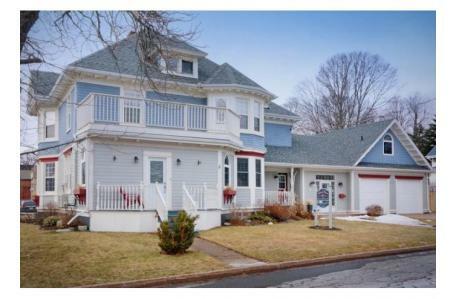 Island Home Bed & Breakfast is for sale in downtown Summerside. This is a majestic residence adjacent to City Hall and ideally located on the Heritage Walking tour route. This property has undeniable curb appeal, a large second story deck, and bay style windows. The well-maintained and designed interior presents itself with as much grandeur as the exterior. Some key features include a hardwood laden entry way, formal dining room, built-in china cabinet, wainscoting, and ornate chandelier. This property is nothing short of outstanding. You can feel the warmth, comfort, charm, and fine nuances this home has to offer. It currently operates as a successful Bed & Breakfast, boasting steady growth and flattering guest comments.